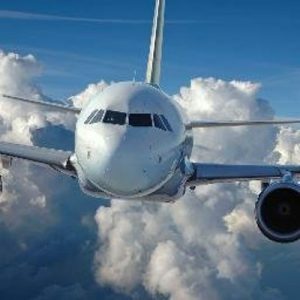 African airlines record highest passenger growth – IATA – Royal Times of Nigeria. The Global passenger traffic has recorded 11.7 per cent growth in May 2017, showing African airlines leading all regions compared to the results in 2016. Mr Alexandre de Juniac, Director-General of International Air Transport Association (IATA) in Geneva, said in a statement released in Lagos on Thursday that African airlines also recorded the highest passenger traffic growth in April with 17.2 per cent compared to April 2016. De Juniac said: “African airlines’ traffic rose to 11.7 per cent in May compared to a year ago, which was more than twice as fast as the 5.1 per cent rise in capacity. “As a result, load factor jumped from 4.0 percentage points to 67.5 per cent. Demand is supported by recovery on the key Europe market. According to him, European carriers saw demand climbed 7.5 per cent over May 2016, while Asia-Pacific Airlines saw their traffic rise to 10.5 per cent in May compared to the year-ago period. He said that the Middle-East carriers had a 3.7 per cent rise in demand in May compared to a year ago. This he said was close to an eight-year low which was not unconnected to the ban on the carriage of portable electronics devices (PEDs) in the cabin from 10 airports to U.S.
“North American airlines’ traffic climbed 4.8 per cent in May, down from 10.3 per cent annual growth in April, but still a strong result for the region compared to the five-year average growth rate. “Latin American airlines experienced a 9.3 per cent increase in traffic in May compared to the same month last year. “Notwithstanding on-going challenges, an improvement in the Brazilian economy is helping to support growth, particularly on intra-South American routes,’’ the IATA chief said. De Juniac said that the overall global passenger traffic rose by 7.6 per cent compared to April 2016. He said: “Passenger demand is solid. We don’t foresee any weakening over the busy summer months in the Northern Hemisphere. “But the rising price of fuel and other input costs is likely to see airlines’ ability to stimulate markets with lower fares taper over the coming months.